During the hottest days of summer, the last thing most of us want to do is spend a lot of time in the kitchen cooking. We want quick. We want easy. And we want something light tasting. At least, that’s what I was looking for when I came up with this recipe for Broccoli Salad with Balsamic Mayo Dressing. It was the middle of a Sunday afternoon and our son was coming for supper. We’d decided to grill burgers but I didn’t have a clue what I was going to serve with it. I’d gotten distracted working on a project and now I needed to figure out something for us to eat that was quick, easy and wouldn’t heat up the kitchen. 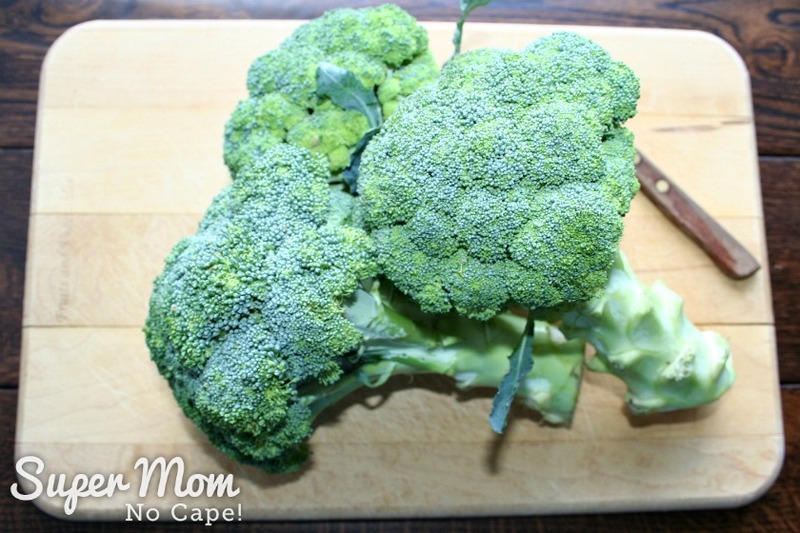 The day before when I bought groceries, I’d picked up 3 heads of organic broccoli. 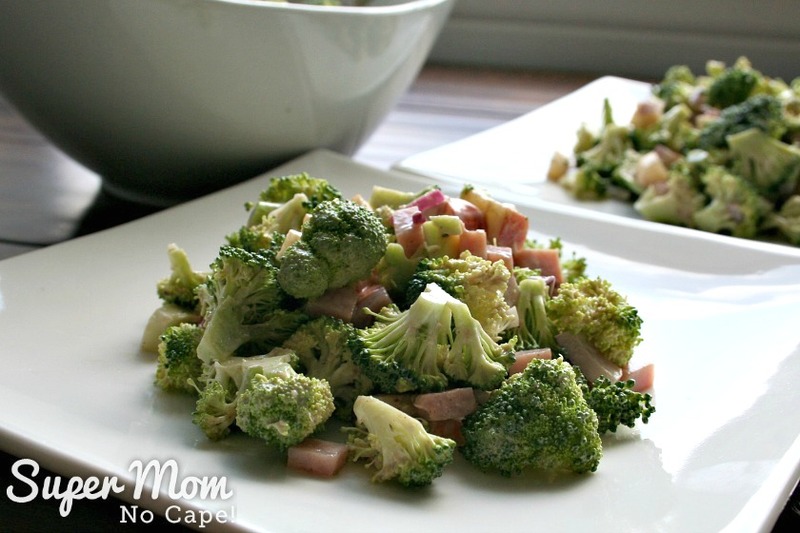 Broccoli Salad would be just the thing but I’d have to make a few adjustments. First… you couldn’t pay my husband, Dave or our kids to eat raisins in cookies, let alone a salad. So I substituted chopped apples. Second, I’m currently experimenting with going dairy free. Diced deli ham took the place of grated cheese. And third, I wanted something different than a regular vinegar mayo dressing. 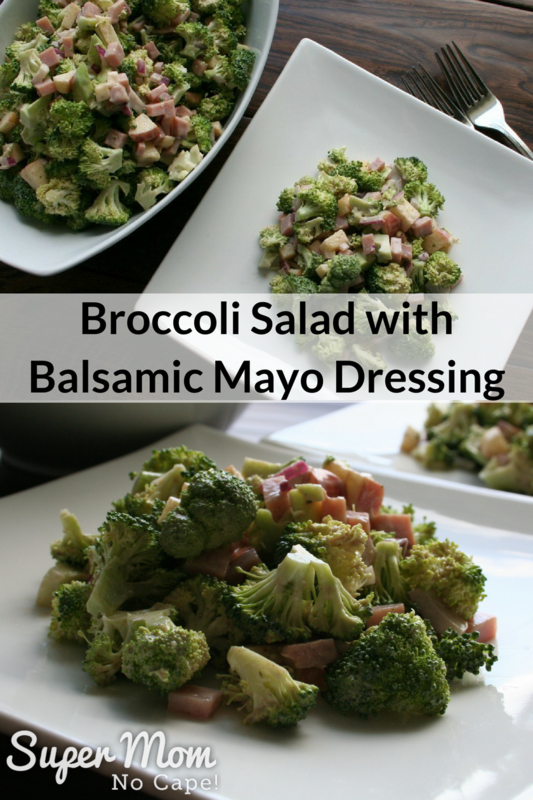 Balsamic vinegar gave the dressing a deep, rich flavor that worked well with the broccoli and red onions. 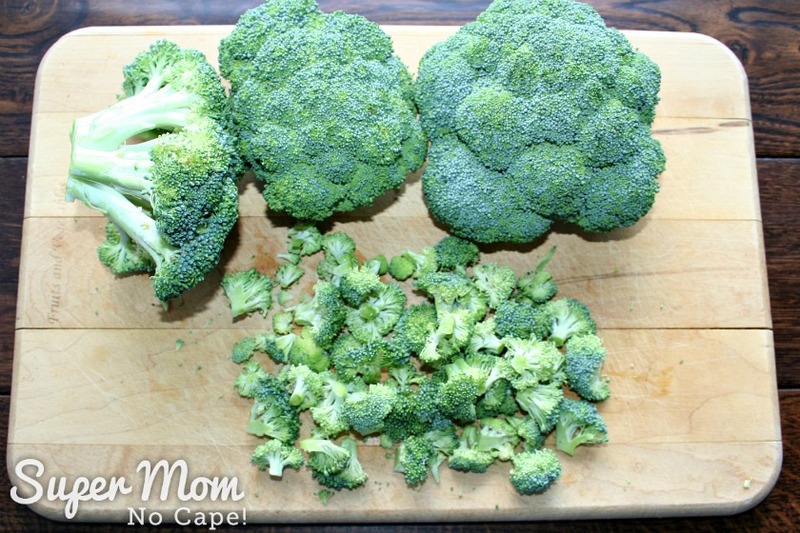 The size of broccoli heads can vary widely, so I’ve included a photo to show you the amount of broccoli you’ll need to make this salad. Don’t throw the rest away! 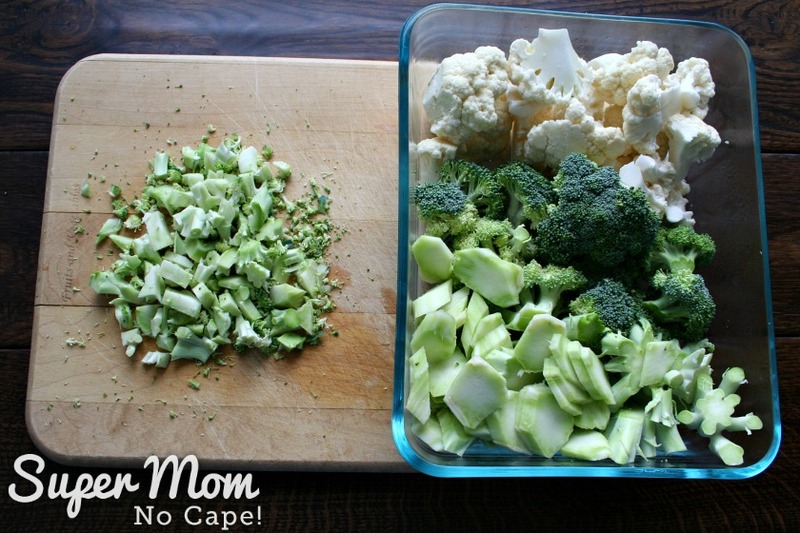 Chop some of the smaller ends to add to the salad. Peel the large part of the stock, slice it and put the pieces into a container to have ready in the fridge to have with dip for a healthy snack. Dice the ham and the apple. Chop the onions finely. 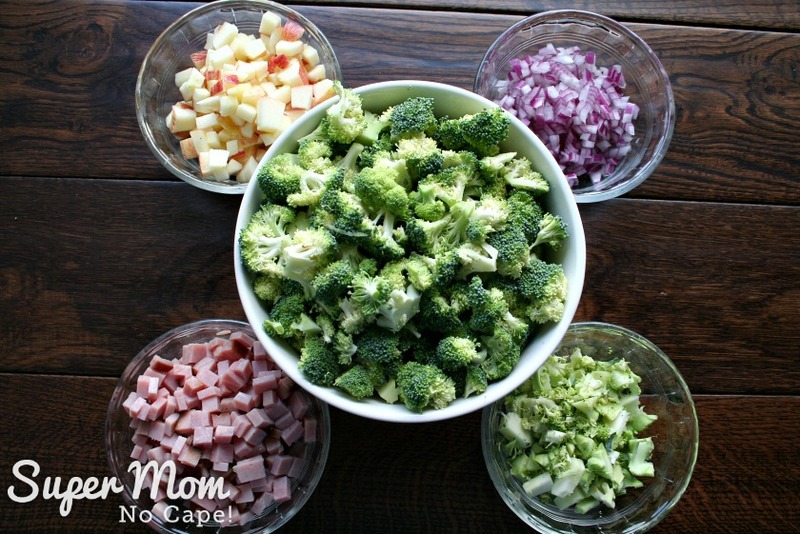 Add the broccoli, ham, apple and onion to a medium sized mixing bowl. 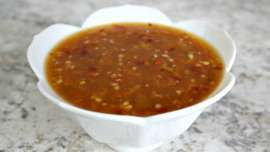 Combine the dressing ingredients in a measuring cup and whisk together. Pour salad dressing over the salad. Note: You may be tempted to think that’s not enough dressing but trust me there’s more than enough to coat all the ingredients. 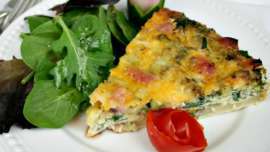 And you’ll end up with a wonderfully delicious salad with just enough dressing to add flavor without being heavy. 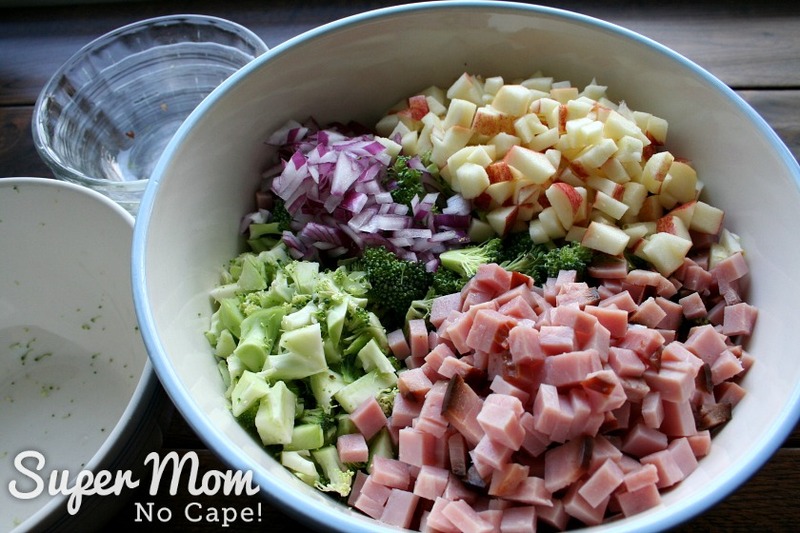 I’ve made this salad a few times this summer and it is quickly becoming a family favorite. 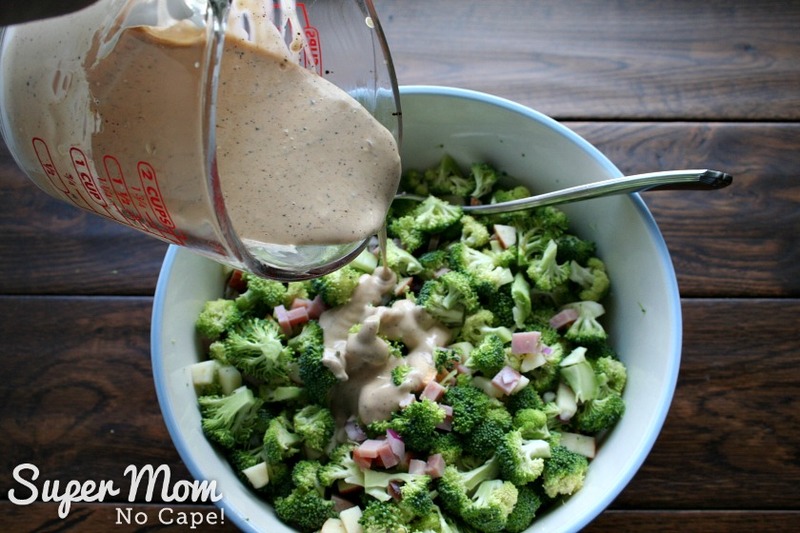 Give my Broccoli Salad with Balsamic Mayo Dressing a try and see if it doesn’t become one of your favorite salads too. In fact, if you want some leftover for the next day, I recommend serving only half of it and hiding the rest in the back of the fridge. 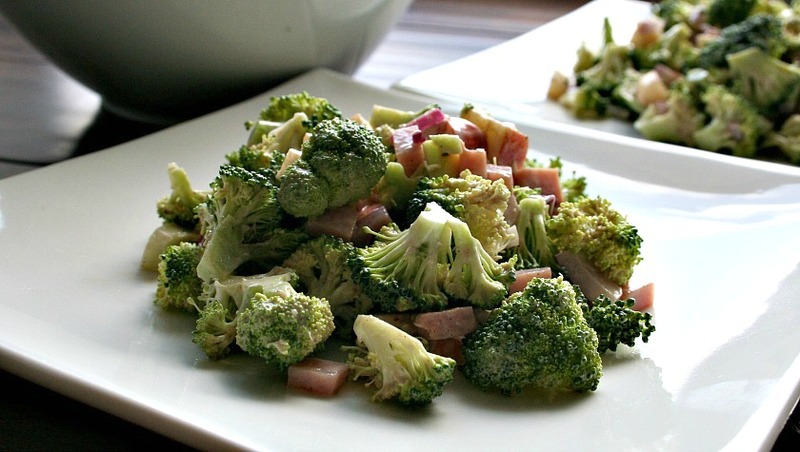 With the broccoli, apple, onion and ham, it’s a great salad to serve for a cold lunch accompanied by cut up fresh fruit or summer berries for dessert. Another quick, light tasting salad you might like to try is my Beet and Edamame Salad. Equally as delicious are my Hawaiian Macaroni Salad or Potato Salad to Feed a Crowd. 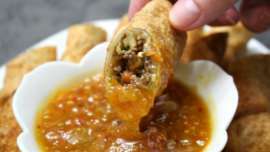 They are a little more time consuming and require some cooking but they are definitely worth the extra work if you have a bit more time to prepare them. Don’t forget to pin this for future reference by clicking on the Pinterest button under this post. 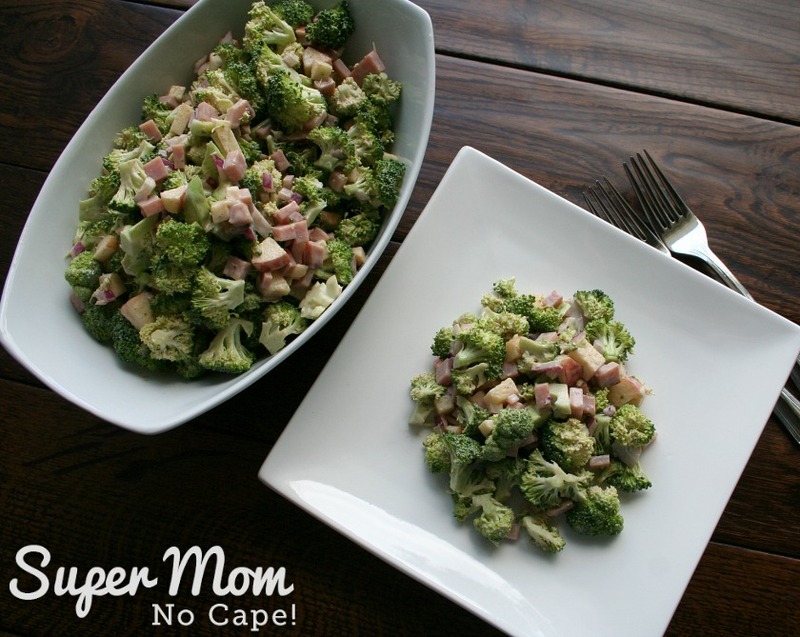 I love fresh broccoli salad and so does my oldest daughter. So refreshing during the summer.